See the gallery for quotes by Charlotte Ronson. You can to use those 7 images of quotes as a desktop wallpapers. 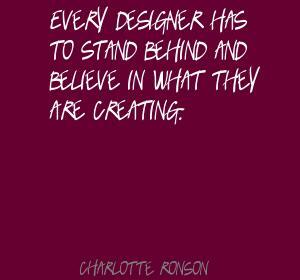 Every designer has to stand behind and believe in what they are creating. I had always wanted to expand to beauty, but I knew I wanted to be able to translate my design aesthetic in an authentic way. I'm not a make-up person, but I love wearable products that are easy to use, with fun packaging. Once I graduated from NYU, I started making custom vintage tees for my friends and it just took off from there. Just watching the people on the streets of N.Y. is inspiring; there are so many styles and unique points of view. 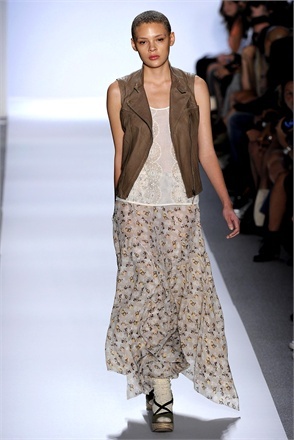 Fashion is very much inspired by the streets, has always been, and I'm sure it will continue to do so.